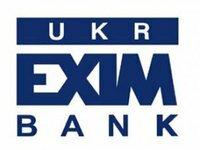 State-owned Ukreximbank (Kyiv) has signed a financial agreement with the European Investment Bank (EIB) for EUR260 million to support the private sector of Ukraine's economy in the framework of the free trade area agreement with the European Union (EU-Ukraine DCFTA), according to the website of the Ukrainian bank. According to the report, the agreement was signed in Brussels on December 19. "Under the agreement, long-term loan funds will be used to finance the development of small and medium business in Ukraine, strengthen Ukrainian enterprises in the field of international trade, energy efficiency, environmental protection and other priorities," the report says. According to Ukreximbank Chairman Oleksandr Hrytsenko, the bank intends together with the EIB to continue the financial support of small and medium-sized business, its new export opportunities, first of all, in European markets.